Here’s something about Facebook I bet you didn’t know. Apparently all of your uploaded photos are fair game for use by their advertisers, by default. So that image of you where you sorta drank to much at that party last week? Totally fair game to be used for those “Hot Local Singles” or “Clearasil” ads. Luckily you can opt out of this “service”, though you’ll have to navigate through a treacherous maze of submenus before you can get a glimpse of the opt out page. Luckily for you I’m here to make your life easier. Here’s the relevant asshattery quoted from the Facebook page as well as a quick tutorial to opt out of their advertising service. Facebook occasionally pairs advertisements with relevant social actions from a user’s friends to create Facebook Ads. Facebook Ads make advertisements more interesting and more tailored to you and your friends. These respect all privacy rules. 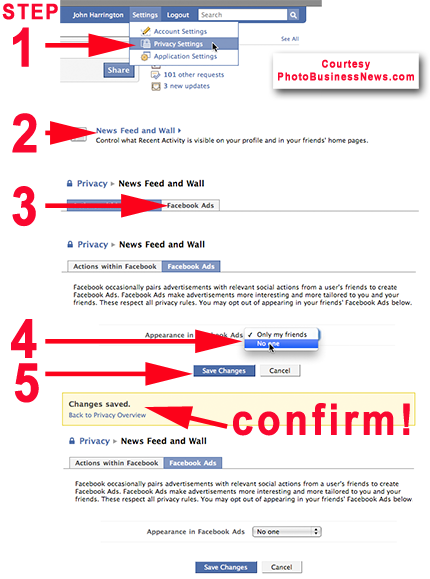 You may opt out of appearing in your friends’ Facebook Ads below. The first new Microsoft ad, featuring the comic duo of Jerry Seinfeld & Bill Gates, is out. Not really sure what to say about it. Apparently now that Microsoft has finished working on the Microsoft Surface they’re gonna work on baked goods? Apple just put out some new iPhone ads. 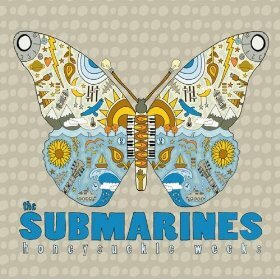 Thats all well and good but the cool thing is the song thats playing, “You, Me, & the Bourgeoisie By The Submaries“, which I’ve been listening to for the last month and its really good. Personally though I don’t think the song was used very well in the ad. Comparatively to the MacBook Air ad, with Yael Naïm, anyway.